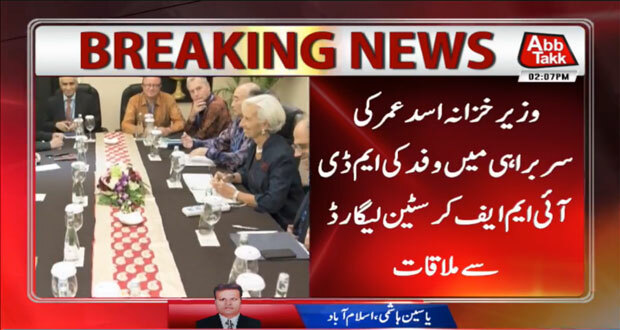 Islamabad (October 11, 2018): International Monetary Fund (IMF) chief Christine Lagarde has said Pakistan has formally requested for financial assistance. In a statement, Lagarde said she met with Finance Minister Asad Umar, State Bank Governor Tariq Bajwa and members of their economic team. “During the meeting requested financial assistance from the IMF to help address Pakistan’s economic challenges,” Lagarde said in the statement. IMF Chief said an IMF team will visit Islamabad in the coming weeks to initiate discussions for a possible IMF-supported economic programme. The formal request follows an apparent 7 per cent central bank devaluation of Pakistan’s rupee currency on Tuesday. Earlier today, Lagarde had said she would meet with Pakistani officials today with expectations that Islamabad will request a bailout of its shaky economy. “I’m assuming that there might be a programme request on their part, but that has not been discussed and we will explore that this afternoon,” she had told a press briefing. 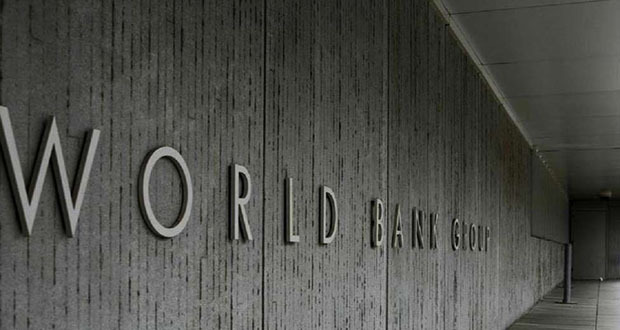 Earlier today, World Bank in its latest report predicted that the economic condition of Pakistan is likely to remain unstable for the next two years and it needs investment and productivity-driven growth. 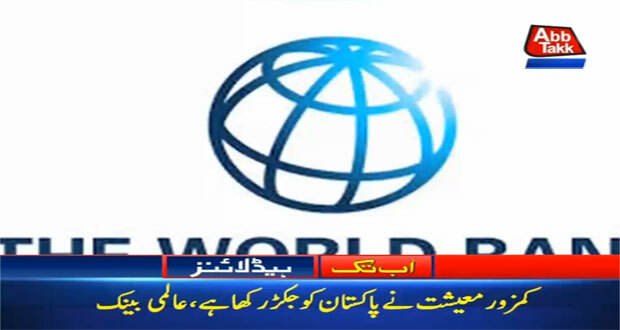 World Bank country director Illango Patchamuthu has said that Pakistan’s growth has to be driven by investment and productivity which will put it on a path to end the boom and bust cycle its economy faces. 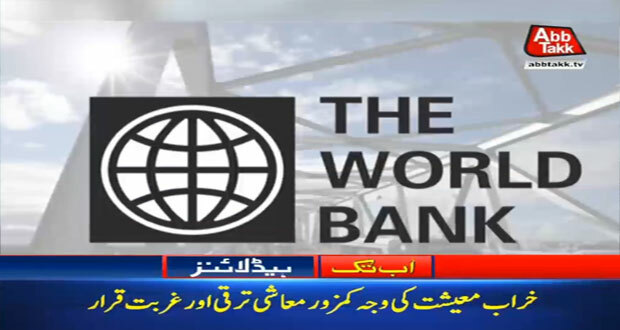 According to report, “This will create more and better paid jobs and is a reliable path to future economic growth and stability,” director said while commenting on the World Bank’s twice-a-year report Pakistan Development Update. The report suggested Pakistan needs to address growing fiscal and current account deficits on a sustainable basis for long-term growth. The country’s economic growth accelerated to 5.8 percent in the 2018 financial year – the highest level in more than a decade, the report said. But as consumption-led growth picked up, the macroeconomic imbalances also grew, increasing vulnerabilities that compromise future growth. The fiscal deficit continued to expand, revenue mobilization weakened, and spending rose. On the external front, the current account deficit grew to 5.8 percent of Gross Domestic Product as the country faced the largest trade deficit ever. The report notes that exports rose, and imports slowed down in the second half of the year due to a more flexible exchange rate. It recommends the reduction in trade costs and improvements in the investment climate to enable Pakistan to compete in global markets. Meanwhile the report also proposed a number of structural reforms in various sectors including Pakistan’s revenue sector. generated through indirect taxation,” it said. The tax system is highly complex, which increases compliance costs, thereby affecting the business environment. The fragmented tax administration between the federal government and the provinces also contributes to the complexity and often causes double taxation. Needed reforms to domestic revenue mobilization include efforts to enhance the capacity of both federal and provincial authorities, legally binding coordination mechanisms, automated risk-based audit systems, improved compliance and enforcement, and making use of the available data on filers and non-filers, arrears management, and an independent appeals function. Despite the political difficulties, the fragmentation of the tax base also needs to be addressed. Reforms, particularly as they relate to the need for improved coordination, could be supervised by a high-level constitutional body, such as the CCI. Earlier on October 10, Finance Minister Asad Umar held a meeting with the President of World Bank, Dr. Jim Yong Kim on the sidelines of the World Bank/IMF Group Annual meetings in Bali, Indonesia. In the meeting, the current level of Pak-World Bank cooperation was reviewed. The Finance Minister shared with the World Bank leader, the vision of the new government and its priorities. 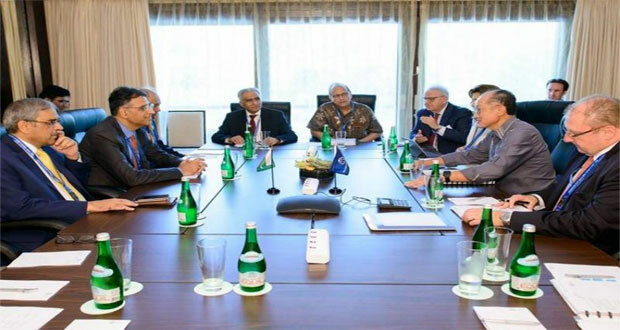 Asad Umar also held a number of meetings on the sidelines of the World Bank/IMF Group Annual meetings. He also met with his Indonesian counterpart Sri Mulyani Indrawati and discussed matters pertaining to expansion of bilateral cooperation between the two countries. Finance Minister Umar emphasized expanding Pak-Indonesia trade relations. The Minister in this regard called upon the Indonesian side to expedite the process of ratification of the additional tariff lines granted to Pakistan after comprehensive review of the PTA in 2017. The Minister also had meetings with senior officials of the Multilateral Investment Guarantee Agency (MIGA) and OECD. Over 15,000 delegates from 189 countries are currently gathered at Bali, Indonesia for IMF/WB Group Annual meetings from 10-14 October 2018. 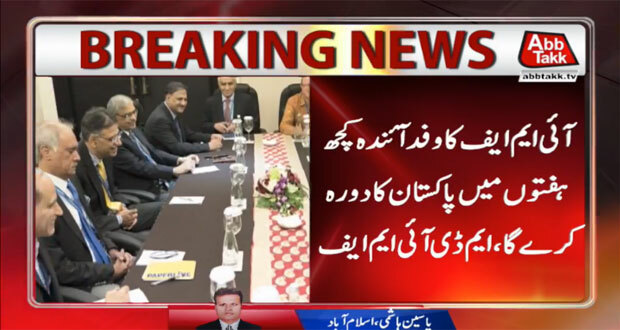 The Finance Minister is leading Pakistan’s delegation, consisting of the Governor State Bank of Pakistan, Secretary, Economic Affairs Division and Special Secretary, Finance Division.